This is an interesting book about the lives of young Muslims of Arab descent living in Brooklyn in the first few years after 9/11. 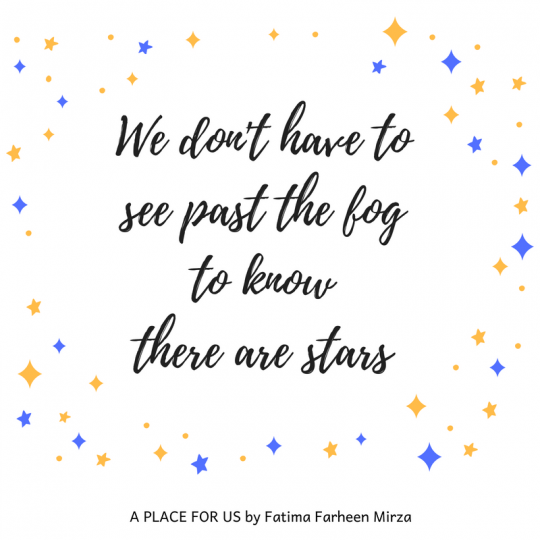 If that sounds very specific, well, it is, but despite what may initially seem to be a narrow focus, the book seems to me to do a good job of addressing various aspects of Arab Muslim life in the U.S. Each of its seven chapters is devoted to a different young person, whose story unfolds over 30-odd pages. Most of the chapters have a specific focus. Rasha’s story is about an entire family detained and held in prison for two months shortly after 9/11, although they were never charged with any crimes. I am sorry to say that I was unaware of the post-9/11 mass arrests of Muslims in the U.S., although they were hardly unknown, even drawing the attention of Amnesty International. Sami’s story is about a Muslim soldier going to war for the U.S. in the Middle East. Yasmin’s is a story of a high school student who fights back against religious discrimination at her school. Omar’s is about employment discrimination, and Rami’s, the final story, about a young person getting religion. The author includes factual information about the various topics alongside the stories for context. Of course, giving each story relatively few pages limits their depth to some extent; in some cases the author focuses in on a particular aspect of someone's life, while other chapters follow their subjects for a longer time but with less detail. I found these stories interesting and the author’s style accessible, and there is a lot in here I didn’t know. For instance, apparently the U.S. government drew up plans in the 1980s to put Muslims in a concentration camp. I am not sure how representative these young people and their families are of Arab-American Muslims, or if that was the author’s goal. Two of the families are Palestinian and two more have one Palestinian parent, which is not representative of the Middle Eastern population in the U.S. generally. The author is also strongly attached to writing about Brooklyn, which seems to me more unique than representative of American life, but enough of these folks have also lived in other places that that turned out to be less of a limiting factor than I initially expected. Regardless, these are important stories, many of which I hadn’t heard before. 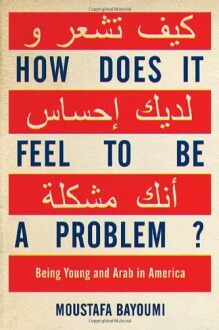 No book could represent all of Arab Muslim life in America, but this one does an excellent job of opening a window. Really enjoyed this. Patel discusses his own faith journey, describes the birth of his organization (the Interfaith Youth Core, or IFYC), and outlines the need for us to create environments in which young people can explore their faith in pluralistic/interfaith settings. He manages to weave these three threads together into a really engaging story. "This is a book," he writes, "about how some young people become champions of religious pluralism while others become the foot soldiers of religious totalitarianism. Its thesis is simple: influences matter, programs count, mentors make a difference, institutions leave their mark." He mentions encounters where adult religious leaders were more interested in developing mission statements than investing in youth programs, or who threw their hands up at the lack of interest teens seemed to express in their churches, synagogues, and mosques. But he doesn't indulge in laying blame or finger-pointing. He uses these as evidence of the need to spend more time and energy on youth programs to engage young people with their faith. "The totalitarians have put their resources into building youth programs. The pluralists haven't." Patel is an brown-skinned American Muslim from India. If this book was simply a personal story about his faith journey and activism, it would have been a good read. I was quite impressed with his ability to bring the other threads of the book in, in quite a well-integrated way. His arguments for pluralism are forceful and compelling, and the story of building the IFYC would be useful to anyone trying to get a non-profit off the ground. He formed the IFYC as a result of his desire to engage young people in more than just interfaith dialogue; to use social activism as a way to explore and share religious identity. His activist background taught him the value of engagement in what Jews call tikkun olam – healing the world through community service and social justice, while his experience of being in leadership capacities instilled in him the necessity for getting youth to become engaged on a level that helps them develop into future leaders. 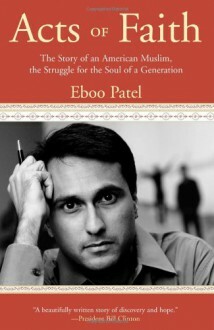 Patel’s book and the story of the IFYC are inspiring and forceful, but so positive and constructive. I highly recommend it. Patel is getting a lot of attention for his work, but frankly, it is not because of his writing. This book comes highly recommended not only from people I respect, but with big-name quotes and a major award. The message is stronger than the messenger, which is probably why. Patel is doing good work and he'll let you know that, although he tries to be humble (and fails miserably).The book itself is disjointed. Part of it is about his own life, which can be summarized as upper middle-class kid has the normal tough middle school life, gets into academics, and finally becomes a Rhoades scholar. He tries to sell himself as a "bad boy" at one point, but only looks more upper class as a result. Plus, he cries (actually, sobs) once too often to have ever been too "bad. "He puts in story lines but does not finish them, includes random scenarios which do not really tie in (e.g Cat Stevens), and covers most things as superficial level. I actually became angry reading his passive, offend no-one lines beginning with "I believe" (the first thing I tell my students to drop in their writing).But better people than me have found a great deal in this book, so don't take my word for it.